Eden has the remarkable advantage of being a place where whales like to feed and fatten their young before they head south to the icy waters of Antarctica. The migration begins to trickle as early as May and peaks around the end of October, which is why we hold the festival when we do. It all begins in late winter, when huge numbers of krill and pilchards explode in waters off Eden and the Sapphire Coast. Here the melding of the warm East Australia Current and the nutrient rich Arctic flow create a rich, temperate marine environment. Many species of mammals and birds have been researched here and some of them are permanent residents. The whales’ southern migration is celebrated with gusto in Eden but try to include a day for exploring the rest of Twofold Bay and our beautiful surrounds. The southern and eastern sections are dotted with evidence of a wild history that stems directly from the migration. The festival itself blends whale watching from sea and shore with live shows and opportunity for friendly competition (oyster shucking or capstan pull anyone?). There’s also street theatre, music, seafood, art exhibitions and tours. Friday morning is for whale watching or enjoying our town with the official festival launch at the Eden Killer Whale Museum at 1:00pm. Our exhibition centre opens at 5:30pm with live music and a snack. Saturday is all about celebrating! Starting on Imlay street with our street parade and then the fun at the showgrounds that goes right until the fireworks! Sunday is for discovering Eden, enjoying our local food and shops checking out the Street Rodders, our exhibitions and the kite flying display. If you have had your fill of festival fun, Sunday is also a great day to visit our National Parks, beaches and surrounding attractions. 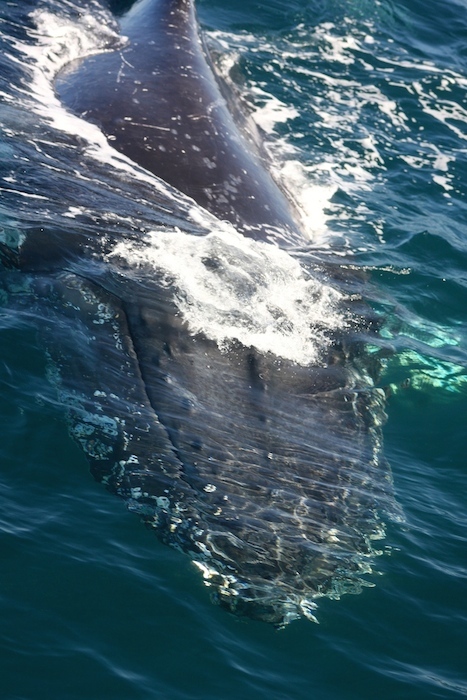 Be sure to make time to take a whale watching trip with one of our experienced charter companies. 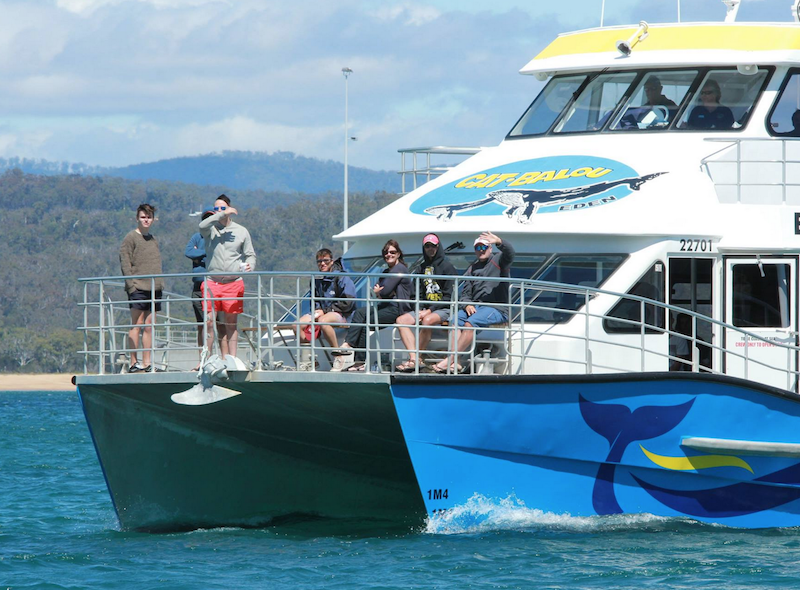 The boat trip from port to sea is short and often accompanied by dolphins. Encounters can begin within minutes when whales are inside the bay. Book early to avoid missing out! For shore based whale watching the bays, rugged headlands and elevated look outs where the Killers of Eden story unfolds are vantage points that are not only beautiful but laden with history. However it’s not hard to find a place to have all to yourself and maybe a passing eagle. The Killers of Eden story is told along the Killer Whale Trail, which includes the Eden Killer Whale Museum, Seahorse Inn, Boyds Tower, Eden Lookout and the Davidson Whaling Station which has a special open day on for Discover Eden on November 5 . Don’t miss Green Cape Light Station if you are in Ben Boyd National Park. Some shore based whale watching sites, like the Marine Rescue site at Eden Lookout allow you the luxury of looking right from the comfort of your car and can also offer picnic areas. Marine Rescue has an open day on the Saturday and Sunday of the festival, November 4 and 5. For bushwalkers, kayakers and walk-in campers it is quite literally paradise. Adventurous nature lovers are spoilt for choice for day trips, or multi-day experiences. You’ll find a good range of accommodation no matter what the size of your party. As with boat tours, book by early October to maximise your choice. Eden is around 3 hours drive from Canberra, and almost smack bang in between Sydney and Melbourne on the A1 Princes Highway. There are daily flights from Sydney and Melbourne which show you just how unspoilt the coastline is. Coaches travel daily from Canberra, Melbourne and Sydney and local buses can greet you. Driving brings you through eucalypt forests, dotted with mountain vistas and beaches that run right alongside the road, or right in front of your front porch. 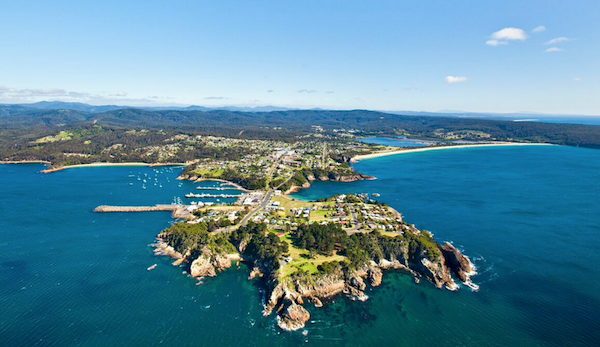 Outside of Eden you can head north to forage for food, art and more stunning headlands and opportunities for adventure at Pambula, Merimbula, Tathra and Bermagui. More information. Posted by Eden Whale Festival on Wednesday, October 3 2017.